that are made from top-quality materials able to withstand most pressures perfect for all your travels. 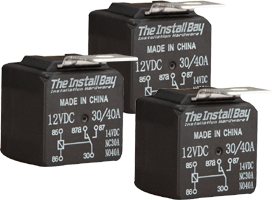 Our Car Audio Accessories Wiring Accessories Relays are especially made to ensure power and efficiency suited for alarms, HID lights, and a whole lot more! Here at HalfPriceCarAudio.com we carry nothing less than the best audio equipment at a very reasonable price!